If you don't find the right watch for you in the classic collection, the online configurator allows for the creation of your own bespoke design with a rich range of dials, bezels, hands and straps to choose from. 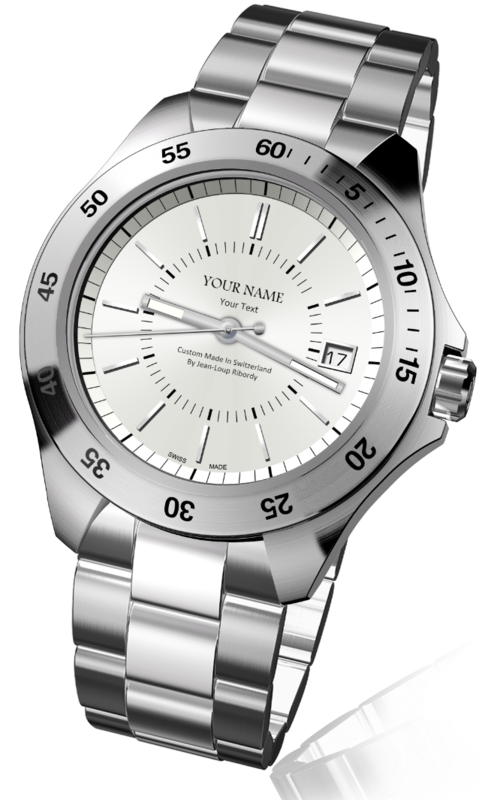 You can personalise your timepiece with your own text on dial, such as your name or corporate brand and engrave the back case with an optional personal message among other customisable features. The ‘Swiss Made’ mark calls for more than location of manufacturing. 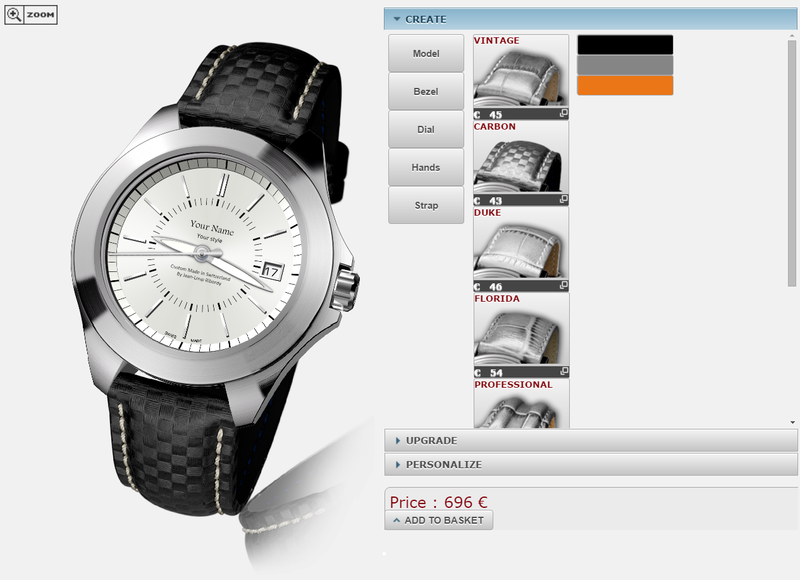 It demands high quality that is embedded in our watches, carefully crafted in Switzerland. Be assured that your Ribordy watch surpassed quality control checks at every step of the journey from production to your wrist. 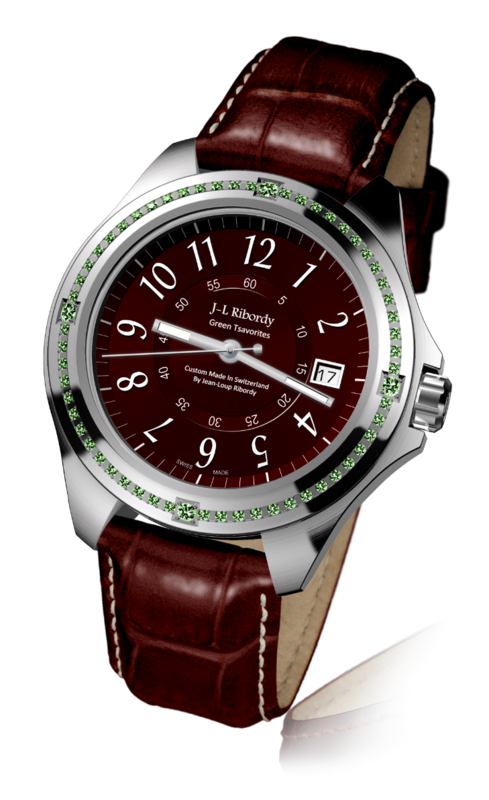 Stainless steel bezel can be encrusted with white or black diamonds (SI-2 clarity), green tsavorite or pink and blue sapphires when designing your watch, as also featured in the Precious Stones Classic Collection. Certificate of authenticity provided.